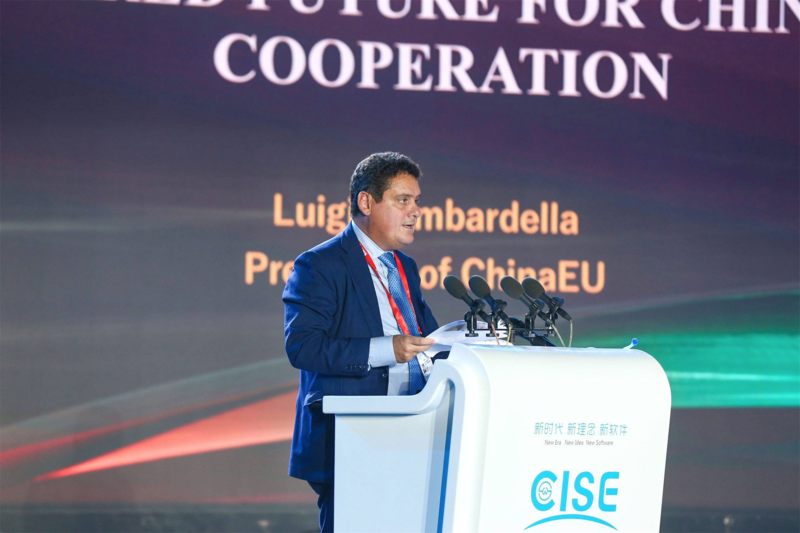 Luigi Gambardella, president of ChinaEU, was invited to speak at the 22nd China International Software Expo, which took place between June 29 and July 2 in Beijing at the presence of China’s Minister of Industry and Information Technology Miao Wei and Mayor of Beijing Chen Jining. 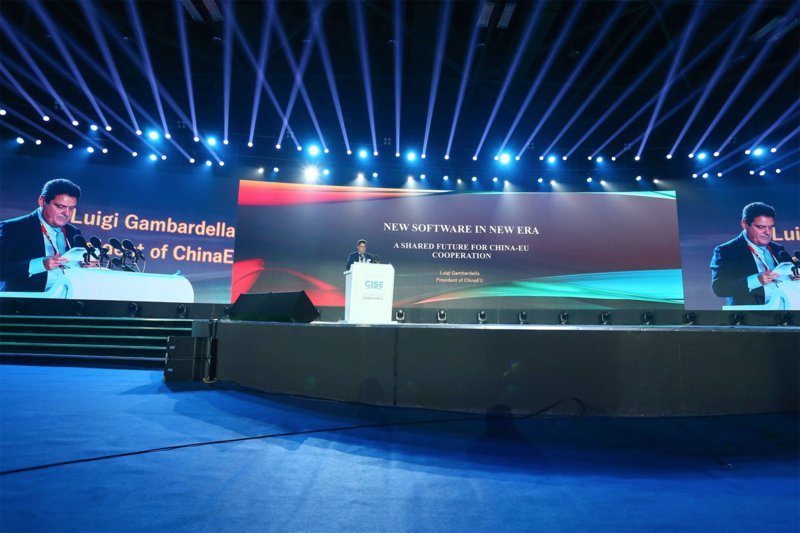 Mr. Gambardella delivered a keynote speech titled “New Software in New Era, A Shared Future for China-EU Cooperation” at the first of five global summit fora of software industry development. “Software is at the heart of digitalization and becomes an essential building block for almost all sectors…A bright future lies ahead if the EU and China work together on software, however, this will require a stronger reliance on free and open source software, “he said. “As Chinese firms and developers grow their influence in the global world of code , they will increasingly see the benefits of open source, of which not the least of them will be to boost the opportunity for the EU and Chinese developers to cooperate in the new wave of technological revolution, ” he noted. The 22nd China International Software Expo was co-organized by the Ministry of Industry and Information Technology of China and the Municipal People’s Government of Beijing, with five summit fora, seven exhibition areas, an industrial internet security elite invitational tournament, 21 parallel fora.